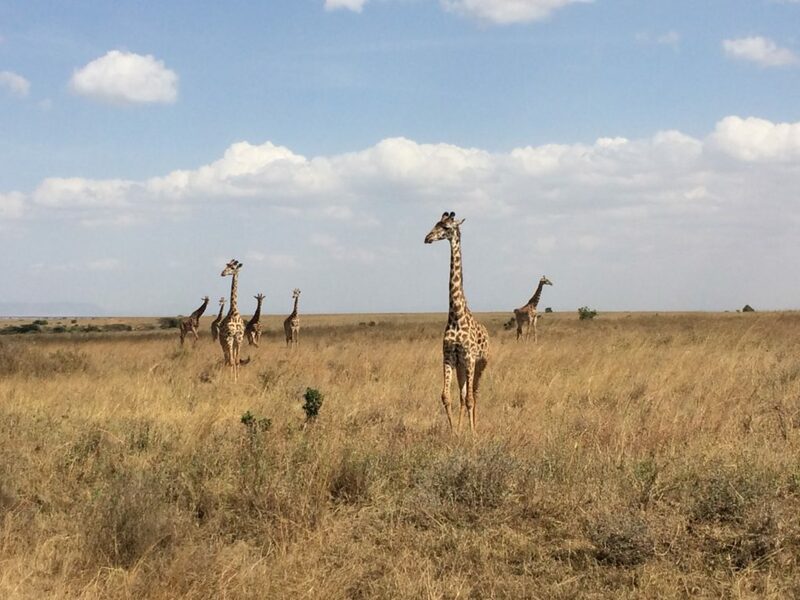 On my first trip to Kenya, I went for a safari in the country’s most infamous region, the Masai Mara, and it affected me in ways I’ll never forget. There’s something extremely ironic about the contrast you experience in an African wilderness; when you see how a peace-inducing, tall-grass-waving-in-the-wind savannah plays host to the world’s most dramatic, brutal, unforgiving circle-of-life ecosystem. It was there that I experienced firsthand the roar of a lion, the speed of a cheetah, the grace of a giraffe, and the extraordinary colors of the African sunset. I also came to know many other things like the smell of a rotting wildebeest carcass, that a hippo is no match for four grown lions, and that, if you look for it, Thompson gazelles flash grief for their fallen before the herd moves on. In all these things, big and small, I saw very clearly how hope and despair were inseparable. Later that trip I arranged a visit to a village in the Laikipia Plateau. I had my fill of local wildlife – it was time to understand local life. I was shown the huts made of mud. I breathed the smoky air inside the huts and I saw the porridge on the fire. I laid on the bed frame made of sticks. I saw there were no light switches or running water. I saw they had nothing. Feeling sad, I stepped outside the hut and looked out over the plateau towards the snow-covered peak of Mount Kenya. A teenager came up and, when he saw me taking in the view, tugged on my sleeve and pointed towards the mountain. “Do you have anything that beautiful in your country?” he asked. It stunned me. Here, in one of the poorest areas of the world, the word “beautiful” was still an appropriate description. Hope was still an option. It was a heck of an introduction to Africa, and one that, for me, sums up what it’s like to visit: extremes pulling you in both directions – awe and appreciation, vulnerability and strength, optimism and pessimism. It’s the emotional elixir that entices volunteers and non-profit workers from all over the world to the continent, tackling issues from animal conservation to public health. Over the years I have met many people who are trying to build upon the hope I saw in that young man in the village. Each year thousands of volunteer doctors and nurses, NGO employees, and charity organizations try to make Africa a better place. Recently, I discovered that one of our own here in the outdoor industry, Mountain Safety Research (MSR), is also working to make Africa a better place. Seeing the familiar name caught my eye. To be honest, when I first heard about MSR’s Global Health Division and its Adventures for Impact Program, I pictured what I often see on television and the Internet: A couple of company reps dropping off a bag of water purifiers or sleeping bags to a village, making a film about it to post on social media, and catching the next flight home. But last month I had the chance to go back to Kenya to check out their work first hand, and I saw a different side of things. If you only know MSR by the camping gear and backcountry stoves they make, then I encourage you to take another look. The Seattle-based company’s focus is not solely on the backcountry, or on recreation here at home. The goal of its Global Health Division, for example, is to export its technology to regions in need, including Africa. For example, we were in Kenya to pilot the company’s most recent brainchild, the Community Chlorine Maker. It’s a device not much bigger than the size of your fist that allows chlorine to be made from basic ingredients and a simple process: add salt, add water, and push a button. Wait five minutes and you have enough chlorine to purify 200 liters of water. Contributing to clean water in Africa is not a new concept. Many organizations, companies, and individuals have sought to help. Some have even installed water pumps for entire villages. MSR commends this work, noting its importance and good intentions, but also noting that not all initiatives are created equal. One of the biggest problems with charity in Africa, the company said, is that there is often little follow up to the implementation and success of the donated technology. Improper training is a reoccurring theme, as is a lack of access to replacement parts. MSR attempts to avoid these mistakes by leaning on a network of on-the-ground partners in each of its regions. 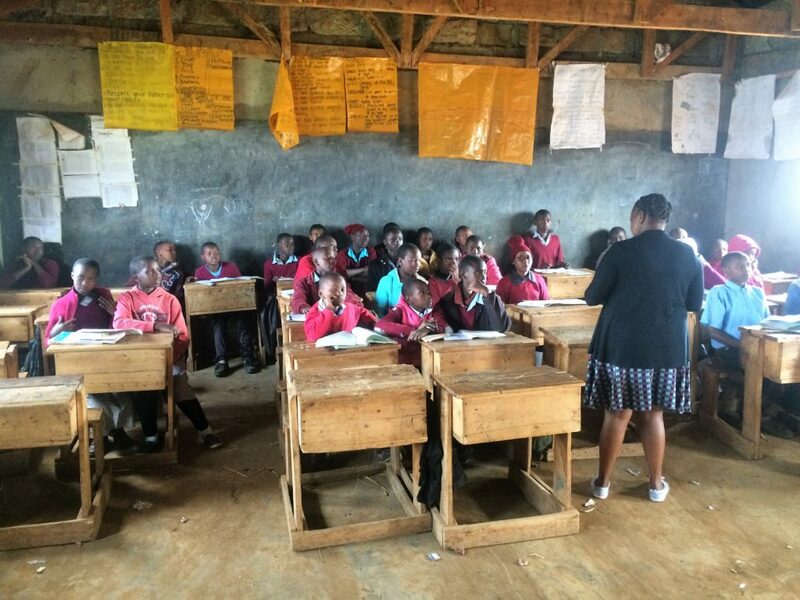 In Kenya, this partnership is centered around one of its athlete ambassadors, Mike Chambers. A high-altitude mountaineer, Chambers is involved with an array of social entrepreneur projects, including a network of 40 schools in Haiti and an educational institution called Flying Kites in Kenya, located two hours from Nairobi in Njabini. It was Chambers that connected the dots for MSR in Kenya. Through Flying Kites, which specializes in education for the critically poor and orphaned, MSR was able to locate – and most importantly maintain direct contact with – communities that would benefit from the water-purifying technology. Led by Chambers and accompanied by a group of journalists (myself included), MSR deployed a batch of its Community Chlorine Makers in Kenya last month. I watched as the device was introduced and explained to headteachers at a variety of schools. Though funding varied by school – some classrooms had lights and concrete floors, while others had big windows and dirt floors – all were connected by one common issue: a lack of clean drinking water for students. The headteachers, who received the technology with wide smiles and open arms of gratitude, explained how the “water problem” has impeded the school’s ability to teach and the student’s ability to learn. Some students, it was said, have for so long lived with the digestive issues related to contaminated water that they believe it normal. But for whatever physical impediments there are to learning, the students were sharp mentally. After a single demonstration of the Community Chlorine Maker, students and teachers alike were able to repeat the process and see its benefits. Via Chambers, MSR will be able to track the use of the Community Chlorine Maker, receive feedback, and send replacement parts if necessary. The company has also linked up with Chambers for another project in the region, one that harnesses both his skills as a mountaineer and his compassionate spirit. Launched this year, Adventures for Impact is an adventure travel tour that ties it all together for MSR. 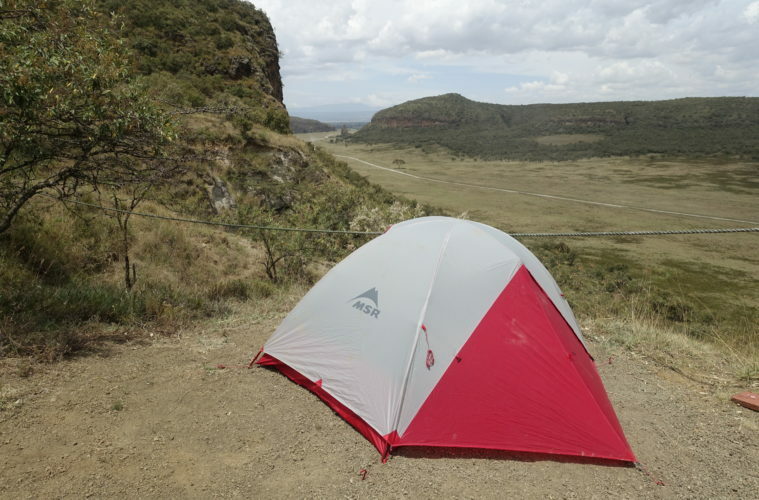 It offers travelers the chance to do something epic, like climb Kilimanjaro, as part of a fundraising trip to Flying Kites and its partner schools. The concept is cool. Think of it as a Walk-a-Thon, only you’re getting your family, friends, and neighbors to sponsor a much bigger adventure. Participants pay for the cost of the trip (approximately $3,000, depending on exact itinerary), which goes towards the logistics and execution of the adventure itself. Then, the participant is responsible for raising an additional fundraising amount for the nonprofit before the start of the trip. The fundraising amount varies based on the selected trip and serves as a donation to Flying Kites, and on the trip, when they visit Flying Kites and the partner schools, travelers are able to see exactly where the money is going. My trips to Africa have always provided me with incredible perspective. Sometimes it’s realizing my own dreams on safari. Sometimes it’s realizing the dreams of others in countryside villages. Though it is still in its early stages, the Community Chlorine Maker is already making a difference. And the Adventures for Impact program seems poised to hit both nails on the head, offering something that’s truly adventurous and honestly philanthropic. It could be a good introduction to the many sides of life there, and a way to leave feeling like you’ve made a difference. The 2018 departures are done for the year, but keep your eye out for 2019 dates in the next couple months. You can learn more about MSR’s projects in Kenya and around the world here. Will McGough is a writer based in Hawaii. He is inspired by the way people live their lives in different parts of the world. He was the 2017 Hawaii Ecotourism Travel Writer of the Year and has written for many publications around the globe.